Ada soalan mengenai Galatia Villas Hotel? Direka untuk kedua-dua tujuan perniagaan dan percutian, Galatia Villas Hotel terletak di lokasi strategik di Fira; salah satu kawasan yang paling popular di bandar tersebut. Dari sini, tetamu boleh menikmati semua kemudahan yang bandar ini tawarkan. Dengan lokasi yang mudah, penginapan ini memberikan akses mudah ke tempat yang anda perlu lawati di bandar. Di Galatia Villas Hotel, perkhidmatan yang cemerlang dan kemudahan yang unggul menjadikan penginapan anda tidak dapat dilupakan. Tetamu boleh menikmati kemudahan seperti Wi-Fi percuma semua bilik, Wi-Fi di tempat awam, bilik keluarga, lawatan, penjaga pintu. Semua penginapan bagi tetamu menawarkan kemudahan yang difikirkan dengan teliti bagi memastikan rasa selesa yang sukar ditandingi. Hotel ini menyediakan kemudahan rekreasi yang baik seperti tab panas, kolam renang terbuka, taman untuk membuat penginapan anda benar-benar tidak dapat dilupakan. 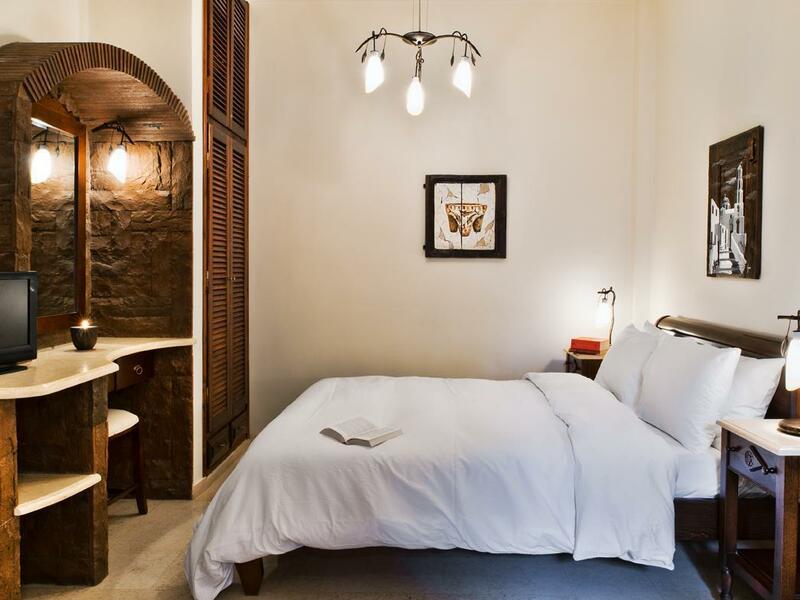 Apa juga tujuan lawatan, Galatia Villas Hotel merupakan pilihan yang terbaik bagi penginapan anda di Santorini. 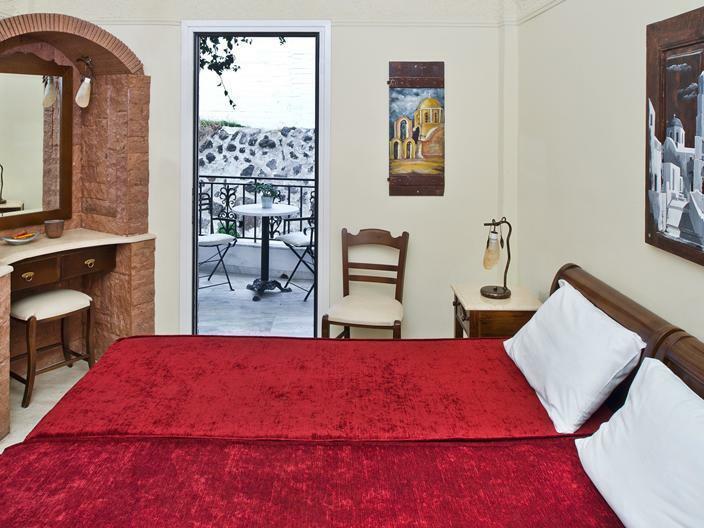 Galatia Villas is a fine budget option in Santorini where location is a premium. The trade-off for the low price is a good 15 to 20 minutes walk, much of it up Hill to the main square in Fira. For places in this area away from the caldera, it's unfortunate there is no motorbike taxi service on the island. The rooms here appear to be nearly brand new, fairly decent in size, and quite clean and bright. It first appear that the hot water wasn't working, until I realized I do need it to open the electrical box and turn the circuit breaker on. Would have been helpful if the hotel had provided some notice. Otherwise things went smoothly. My only request for service was to arrange a taxi to the airport very early in the morning and the taxi arrived right on time. If you're fit or don't mind the inconvenience of some rather rigorous walking in the interest of saving money, then this hotel offers a good value. For a low season deal, it was value for money as we were budget travelling therefore it suited our needs. However, if I was to stay in peak season I would probably want something with lighter and brighter rooms for peak season rates, as it was a little more dated then in looked in pictures. Basic little hotel a 10 minute walk into central Fira. Staff were very helpful and room was spotless - turndown service every day was a nice touch. If you have time around the hotel I recommend checking out the roof terrace. It's gorgeous. fantastic hotel with great staff, amazing pool in a great location, 5 mins quad ride from the centre of fira. beautiful hotel and grounds, no restaurant but the recomendations from the owner were amazing. santorini is a magical place and this accommodation helped our stay to be 10/10 :) even comes with friendly cats . only down fall was the shower in the tiny bathroom but hey, its a small thing not to be dwelled on. Excellent. Was very accommodating with us being a family with two young children. Staff were helpful when requested. Room was lovely and spacious with own kitchenette, and was cleaned daily. 10 minute walk to the main centre. Very happy overall. The hotel is very nice and beautiful. But it's way too far from the bus station. The staff is friendly and helpful. Not sure if i wanna stay there again, i might be looking somewhere nearer to the bust station & Fira town. They are very kindly. But too much far pira and bus station. Also It's too difficult find the Hotel.We asked so many time and then finally we got there. almost 1hour walked. The location is a bit far away from town. The staff here is nice and helpful. The room is clean. We parked our car in nearby carpark area which is 50m apart. There is mini market 50m away. The swimming pool looked nice. 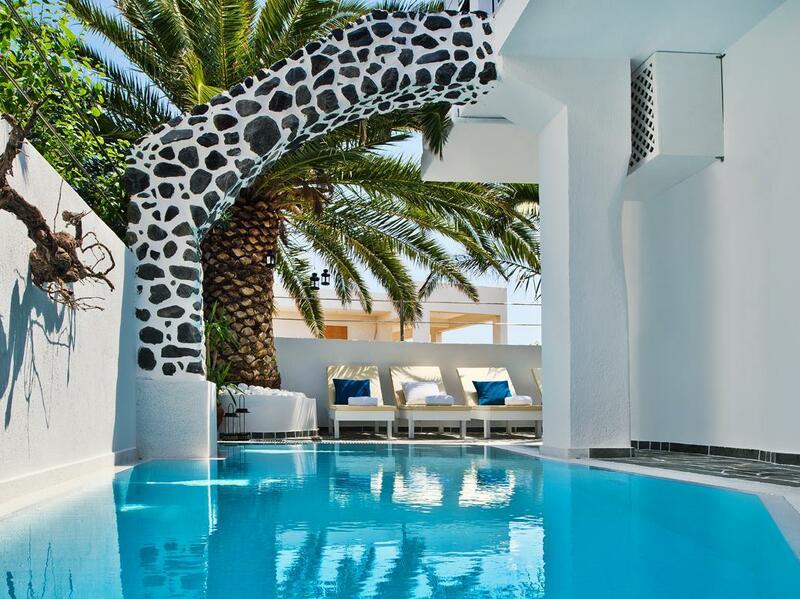 The hotel is very nice, in a very nice quiet location in Fira with excellent hotel services. The hotel is very clean and comfortable. Excellent Internet connection which is free of cost. The location is very nice, in a quiet location of Fira and close to the centre of the town, 5 minutes walking. The hotel staff very kind and gentle. The hotel has a nice swimming pool and it has lots of flowers around with night candle lamps lit in the garden in the evening for a unique ambience. I was very satisfied with my stay at Galataia Villas. not the greatest location, on side of hill. Das ganze Hotel ist mit Liebe eingerichtet, jedes Detail stimmt..und wird sehr sauber gehalten! Die Galatia Villas hat durchgehend überzeugt: Tolle Lage, sehr ruhig (3min. vom Zentrum entfernt), Sehr schönes Hotel, tolle Familie die es betreibt, sehr zuvorkommend.. man fühlt sich wie zu Hause. Wer ein kleineres Burget hat ist das die perfekte Lösung - Luxus zum kleinen Preis! Einzig ist unser Standard-Zimmer etwas kelein (andere sind grösser und gemütlicher) Wer hier Urlaub macht - unbedingt einen Quad oder Roller mieten! Wir empfehlen "MotorInn" - super Service, wir wurden am Flughafen empfangen - haben den Quad übernommen und ab ins Hotel... keine Wartezeit, Taxisuche oder lestiges Bus-warten :) und nicht zu vergessen: der schönste Strand ist auf Perissa - besucht den "Ntomatini"! Wir kommen auf jeden Fall wieder!